What Does Cersei’s Pregnancy Mean For Game of Thrones Season 8? Even though we’re all keyed up for the Game of Thrones season eight premiere on Sunday, April 14, there’s one thing that happened in season seven that is still bothering us — and it has the potential to affect season eight. Thanks to a new theory explored over at Cosmopolitan magazine, there’s room to question whether Cersei is actually pregnant for season eight of GoT and, furthermore, if she is pregnant there’s reason to believe it will not end well. Let’s break this down! So, let’s start at the actual beginning. If you recall, when Cersei was a teenager, she received a prophecy from a fortune teller, Maggy the Frog, who predicted that when she was older she would: marry the king; have three blonde children who would all die before her; that the “valonqar” (an ancient word meaning “little brother”) would choke her to death; and that she would be the queen for a short time before her throne was taken over by a younger, more beautiful woman (how very Snow White of old Mags). What throws a wrench in this prophecy, however, is the revelation in GoT season seven that Cersei is apparently pregnant. She reveals this to Jamie in episode five, and Jamie looks overjoyed (okay, chill out, dude, that’s your sister) at the prospect of them having another child. It’s unclear if Cersei is being manipulative of Jamie in order to prevent him from leaving her or if she’s actually pregnant. Not only would her being pregnant mean that Maggy’s prophecy — which has thus far proven to be true — could actually be wrong in some way, but it could mean that Cersei has more leverage over Jamie to bend her to his will as they fight to retain the Iron Throne. But, according to Cosmo, there’s one big hiccup if you think Cersei is really pregnant: she was seen drinking wine in the season eight trailer, despite having refused it when Tyrion offered her a glass during their season seven truce meeting. Now, we doubt the Westerosi doctors are up to date on the dangers of drinking during pregnancy, so it’s true that even if Cersei is drinking wine, she could still be pregnant. 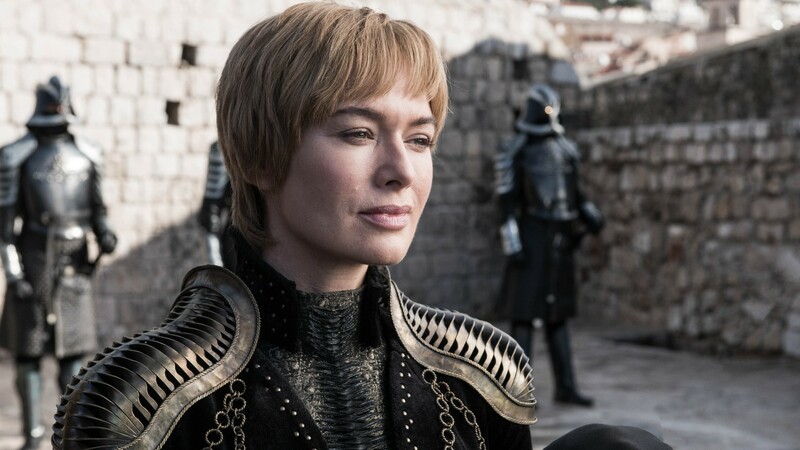 However, Cosmo argues that this key detail is proof Cersei has been manipulating her brothers into believing she is expecting in order to maintain the upper hand. Either way, the truth about Cersei’s pregnancy will come out in season eight and no matter what, it will likely not end well for her. Tune into the season premiere on HBO on Sunday, April 14 at 9/8c.